German-Belarusian relations are currently at an all-time low. The tension is rising, and it is still uncertain when the German ambassador will return to Minsk. In the meantime, the Belarusian authorities are doing everything possible to further deteriorate relations. As a result, all major German parties now support new sanctions against Belarus. 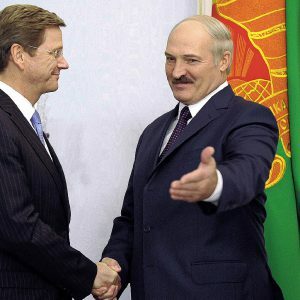 When Polish and EU ambassadors were asked to leave Belarus, German foreign minister Guido Westerwelle declared that “an act against Poland or the EU was an act against Germany at the same time”, so the German ambassador to Belarus, Dr Christof Weil, was called to return to Berlin for consultations. A further deterioration in relations between the two countries was caused by the execution of Vladislav Kovalyov and Dmitry Konovalov, the alleged criminals responsible for the explosion in the Minsk metro on 11 April 2011. Westerwelle, in the name of the federal government, deplored the executions and voiced doubts about the correctness of the verdict. Steffen Seibert, spokesman of German Chancellor Angela Merkel, said that the executions added further tensions to the difficult relations between the two countries. Indeed, all major German parties are in favour of new sanctions against Belarus. On 23 March the Council of the European Union adopted a new list of people who are not allowed to enter the EU and agreed to further economic sanctions against Belarusian enterprises. Moreover, politicians and human rights activists propose to withdraw the ice-hockey world championship from Belarus. It was planned that Belarus should host the sporting event in 2014. For Lukashenka, this is an important project, not only because ice-hockey is his favourite sport. The championship is meant to attract supporters and guests (and before that, investors) from abroad and show to the world that Belarus is a well-liked member of the international community. The discussion on the human rights situation in Belarus comes at a time when the German public is debating freedom and personal rights. The new German president, Joachim Gauck, was the head of the authorities dealing with the archives of the Eastern-German secret service. In his public speeches, he often refers to the German past and the time of Germany as a dictatorship, a fact that makes Germans even more sensitive regarding what is going on on the doorstep of the EU. No Ice-hockey World Championship for Belarus? This is indeed a month of bad PR for Belarus. Ice-hockey is a popular sport in Germany, so now even those newspaper readers who usually stick to the sports section will learn about Belarus and the disastrous human rights situation in the country. Sports journalists are writing political comments, like Frankfurter Allgemeine Zeitung’s Evi Simeoni, who has asked the functionaries of international sports federations to take responsibility for their decisions. Another event featuring Belarus has backfired on the regime: the Leipzig book fair, one of the biggest book fairs in Germany with more than 160,000 visitors, hosted Belarus, Ukraine and Poland as special guest countries this year. Instead of reporting on Belarusian contemporary literature, bloggers and journalists presented Belarus as the country that it is in the moment: a white stain in the middle of Europe with the last dictator at its helm who still carries out death penalties. The last serious indicator of how bad Belarusian-Germans relations are at the moment was Belarus' refusal to let Dr Astrid Sahm enter Belarus. Dr Sahm, a German political scientist, was the German director of the International Educational Centre Johannes Rau (IBB) in Minsk for six years until December 2011. Ms. Sahm has a multi-entry visa that is valid until June 2012. Nevertheless, she was denied entry to Belarus and sent back to Riga after landing at Minsk airport last Sunday. The international centre IBB is a German-Belarusian joint venture, co-owned by the Minsk city administration. Since its opening in 1994, it has been a place of dialogue and meeting, even in times of the worst crises between Belarus and the EU. The Minsk Forum taking place in IBB, of whose organisation committee Dr. Sahm is a chair, has always been a reliable indicator for the state of German-Belarusian relations. In 2008, when there was an improvement in relations, the head of the presidential administration, Vladimir Makej, was present at the opening of the Minsk Forum. Last year, when relations were already deteriorating, Minsk Forum was cancelled, a rare occurrence since its kick-off in 1997. The refusal to let Ms Sahm enter the country has shocked the German-Belarusian community and shown to those working with Belarus how bad relations actually are. The German-Belarusian Society (DGB), an NGO whose members are in key positions in bilateral cooperation, has voiced concern about the treatment of one of its chairs. It is striking to see that the regime is willingly risking losing its most reliable partners and becoming even more isolated. Lukashenka risks a total break with the EU; a Polish member of the European Parliament even proposed reducing official EU-Belarus relations to consular level. Minsk is however used to ups and downs in diplomatic relations. What is worse, the regime deliberately seems to be accepting a rupture with Belarus’ most reliable partners. IBB is responsible for the implementation of the Belarus support programme of the German federal government, a programme that has brought in more than €13m for different project to Belarus since 2002. Even if the authorities are annoyed by the sanctions adopted in Brussels today, they should think twice before reacting over-hastily. Otherwise, it might not only be ambassadors who stay away from Belarus, but also tourists, partners and investors. Prime Minister Mikhail Myasnikovich is a veteran of Belarusian politics. He served as Deputy Prime Minister of Soviet Byelorussia and then independent Belarus and was the key aide of Prime Minister Kebich, the main rival of Alexandr Lukashenka in 1994 presidential elections. In 1990s Lukashenka even promised to imprison him for corruption. But after being elected, the first president changed his mind and started to cooperate with him. 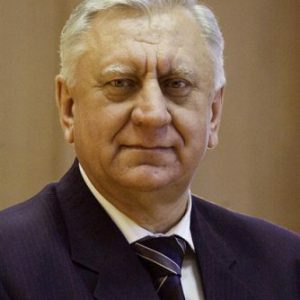 Having worked as the head of the Presidential Administration in 1990s and the National Academy of Science in 2000s, Myasnikovich became the Prime Minister of Belarus in December 2010. Many regard him as the shrewd and unsinkable leader of the Belarusian bureaucracy who is able to significantly influence the situation in the country. 60-year old Myasnikovich comes from a village in Nyasvizh District, a hundred kilometres to the south-west of Minsk. He has graduated from Brest Civil Engineering Institute, and later completed advanced studies at Minsk High Party School. His biography lacks heroic accomplishments. In 1970s, engineer Myasnikovich worked in water supply and municipal services in Minsk. In 1980s, he made a good carrier in the Minsk Soviets. In those times, Soviets – councils – formally had significant authority but in practise were just an instrument used by Communist Party to legitimise its rule. In mid-1980s, Myasnikovich became a Secretary of Minsk City Committee of the Communist Party of Belarus in charge of running the capital. Until the collapse of the Soviet Union, Myasnikovich served as the Minister of Housing and Public Utilities and the head of the State Committee for Economy and Planning. In 1991, Myasnikovich becomes Deputy Prime Minister of Soviet Belarus, soon to become independent Belarus. He was a prominent official in the government of Vyachaslau Kebich, and was allegedly in charge of his boss' highly controversial deals. When then a little-known member of Belarusian Parliament Alexander Lukashenka launched his anti-corruption campaign, he lashed out at Myasnikovich as one of the most corrupt government members. Myasnikovich then led Kebich's presidential campaign, some say – rather reluctantly. After election Lukashenka decided to employ cadres of his predecessor Kebich. Myasnikovich got his job back, and then continued his rise to power as head of powerful Presidential Administration – the key decision-making body of the regime. He was apparently rewarded. Late Vital Silicki argued that Myasnikovich was a leader of old Kebich-time nomenclature. Led by Mikhail Myasnikovich the nomenclature swiftly switched its loyalties to Lukashenka. In late 1990s, Lukashenka established and consolidated his regime, destroying fragile democratic institutions, parties, media and civil society. Myasnikovich has displayed no liberalism while serving as a top official in those years. At that time such public figures as former National Bank head Bahdankievich or Prime Minister Mikhail Chyhir protested against Lukashenka's policies and lost their offices. Moreover, Myasnikovich actively participated in a successful constitutional coup in November 1996 as a major figure. However, after the 2001 presidential elections Myasnikovich landed in a marginal position as the head of the National Academy of Sciences. Lukashenka might have had good reasons to sideline him. Too many people spoke about the leader of the nomenclature as a possible presidential candidate capable of removing Lukashenka. He himself displayed no ambitions but Belrusian media published unconfirmed documents on alleged investigation of a conspiracy against the president which involved Myasnikovich. In his decade long exile in the Academy of Sciences Myasnikovich achieved controversial results. He directed institutes of the Academy to undertake production activities and appointed people without scholarly credentials to run these institutes. But even the highly critical of the regime Radio of Liberty admitted that Myasnikovich made the management system of the Academy more professional, bringing in qualified administrators. Remarkably, he stayed rather humble and became a correspondent member of the Academy only in 2009. Being bureaucratic carrier did not prevent Myasnikovich from making money. In 2006, the United Civic Party re-published the list of 50 richest men in Belarus. Myasnikovich was among them with US$296 million. Most commentators emphasised that he is just a good administrator of the old school. “He is very strict and precise, always controlling decisions taken and their implementation,” says the former chairman of the National Bank ​Stanislau Bahdankievich. Being in the government he retained some of his critical mindset and scholarly ambitions. In 1994, he defended his doctorate on “Emergence of Market Economy in Belarus: Conditions and Factors." In late 1990s, he defended another research degree on "Formation of Financial Industrial Groups in Transit Economies (The cases of Belarus and Russia)." Both texts were published – something unusual for nomenclature scholars who usually hide their writings. In 2004, Myasnikovich published one more book on innovations in Belarusian economy in which he criticised many aspects of Soviet economic and administrative system. He also demonstrates familiarity with key Western authors writing on the topic. In addition, he reportedly has some command of English – a rarity among Belarusian officials. ​But Myasnikovich also likes to pay tribute to old thinking as well. He hinted that the Chinese way would be a better model compared to the Soviet model. Nevertheless, in 2007 – well before the current crisis, he criticised the Belarusian economic model. The Head of National Academy of Sciences declared his belief that the industrial policy of the government has no prospects and the economy should be technologically modernised. There is also another interesting feature of his character. Myasnikovich does not demonise people if they change over to the opposition. He phoned the family of late Hienadz Karpienka – a major opponent of Lukashenka – after Karpienka's death in 1999. He attended the funeral of dissident writer Vasil Bykau in 2003. In June 2011, Myasnikovich consulted with an oppositional politician Bahdankievich and even offered him a job. Grand Vizier Against Ruler's Son? Sviatlana Kalinkina, chief editor of the Narodnaya Volya daily notes that Myasnikovich is a “dove” looking for compromises. She explained his survival in politics through three unique features. He has links and networks among the nomenclature, good contacts in Russia, and he is a good negotiator. Now, as a prime minister he shall be a counterweight to the group of officials from security agencies led among others by Viktar Lukashenka. No wonder, when last autumn the Prime Minister used harsh words to attack presidential aide on economy issues. Another member of his cabinet called the situation in the country a “shame”, new rumours about disloyalty of nomenclature and Mikhail Myasnikovich emerged. Yury Drakakhrust even said about “uprising of the Government against Presidential Administration”. The uprising never materialised, yet undoubtedly one of the ways to achieve changes in Belarus is to deal with the bureaucracy and their robust and shrewd leader. Mikhail Myasnikovich alone can persuade Lukashenka to change his ways much easier than all the opposition put together. He is the grand vizier in Lukashenka's state. Myasnikovich embodies both the traps and opportunities related to the Belarusian bureaucracy. He is cautious with everything new and lacks his own initiative but still remains a rather effective manager. He, as the rest of the bureaucracy, does not really have a vision of his own and leans on Moscow but could become a partner for the West.